A substantial low level design complete with large Swing Arm BBQ Rack. 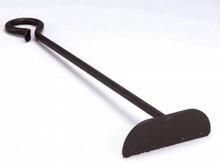 SKU: RLFL 120. 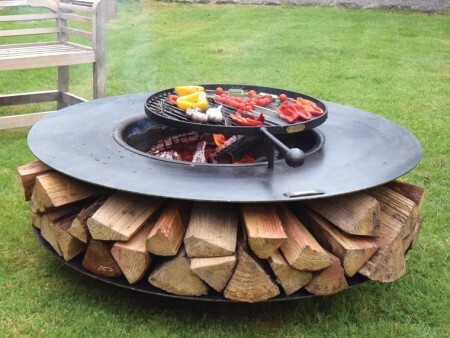 Category: Firepits. 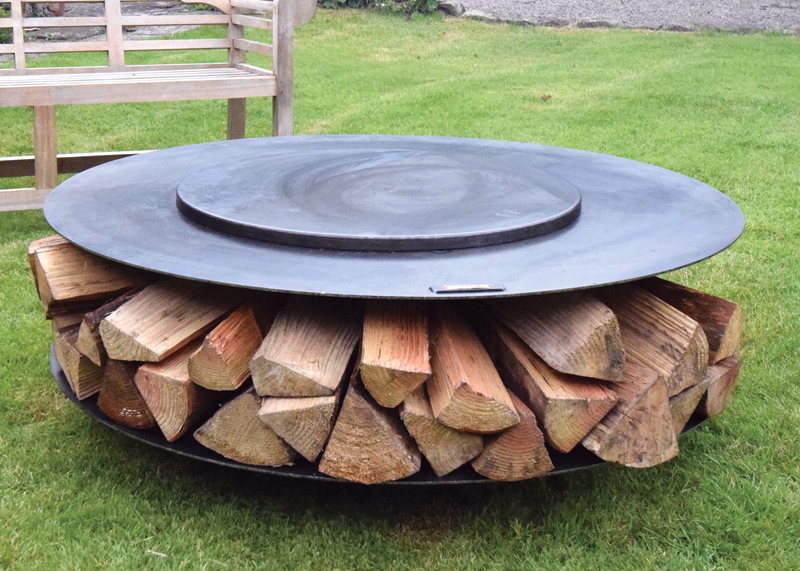 The Flat Ring of Logs 120 provides a substantial sized design for those looking for a large low level fire pit. 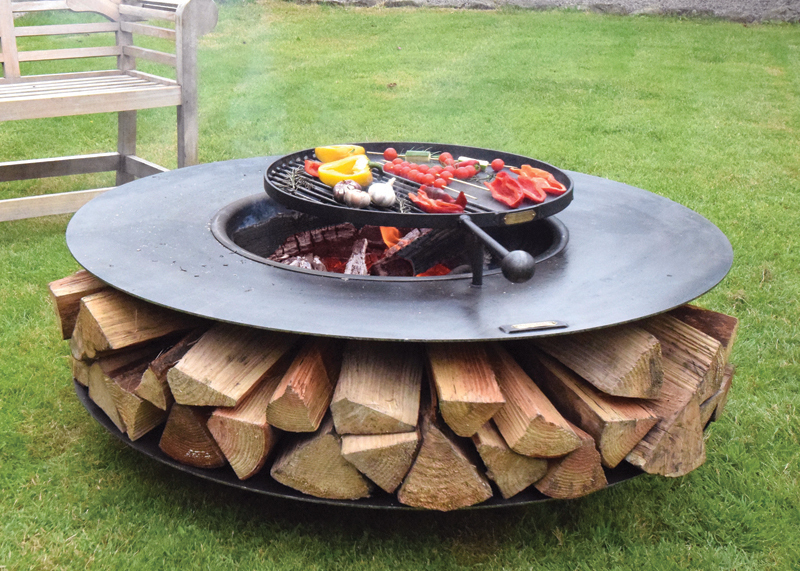 With a large detachable swing arm bbq rack and a convenient storage area to keep your logs dry and close to hand, this design offers a great centrepiece for cooking and gathering around with friends and family.